The July stamp auction kicked off with Lot 1 an ‘exceptional’ & ‘bulging’ Great Britain and British Commonwealth New Ideal album. Described as being ideal for continuation, the album had been popular at the pre-auction viewings. At the auction the lot was bid up to £37,200. 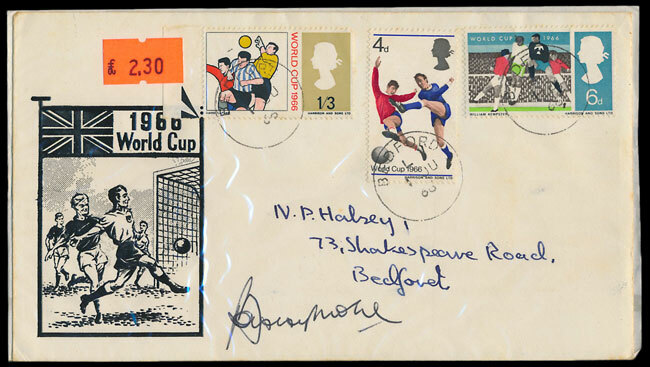 With hopes for English football success so high, it was an apt time to be selling some First Day Covers from the 1996 tournament, both signed by the victorious captain, Bobby Moore (read some background to the covers here). The covers achieved a successful result, let’s hope the England team can do the same. 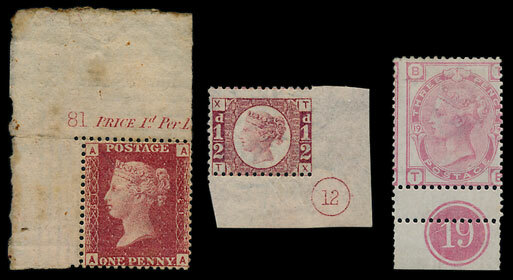 In the Great Britain section a very attractive collection of mint issues including Queen Victoria Line Engraved & Surface Printed issues with marginal controls, sold for £2,640. 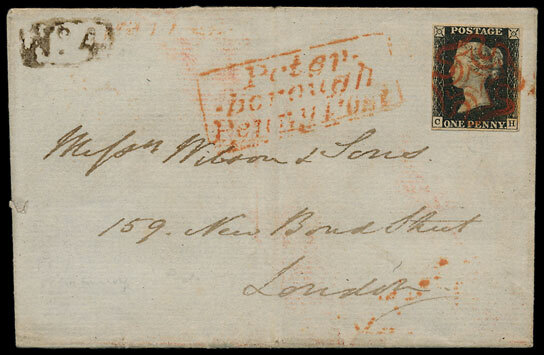 An ‘extensive & remarkable’ collection of Postal History items from Peterborough and the surrounding area sold for £2,880. An 1840 1d black Plate 1b sold for £180, an 1873-80 6d grey sold for £264 & a 1980 Landmarks 17½p with missing silver (Queens’s head) sold for £384. 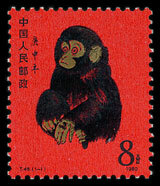 In the foreign section of the auction a China 1980 Golden Monkey 8f sold for £1,200. The current SG catalogue price for these is £1,600 but this will no doubt be increased soon as the realisations are not far behind, see our August catalogue for another opportunity to buy this iconic stamp. 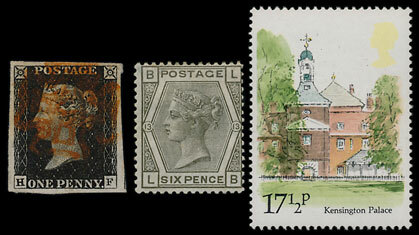 A Japan range of 1871 Dragon imperforates achieved £900, well above the auction estimate of £450. Deserving an award for perhaps the bargain of the day, an astute buyer picked up a mint Netherlands 1951 Gulls pair for £108 a small fraction of the SG price of £900. Our next Philatelic auction will be held on Wednesday 1st of August 2018. Look out for the full catalogue for this sale, which will appear on our website in the next few weeks. Also keep an eye on our Twitter and Facebook pages which will include updates of our latest auction news.